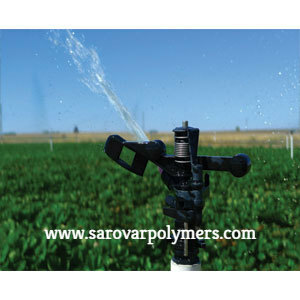 We are one of the leading names, engaged in manufacturing, exporting and supplying of Sprinkler Pipes in Gujarat, India ranging from OD 50 mm To 200 mm (In All Grades & Pressure Ratings). We have developed an in-house assembly to entertain variegated demands of the buyers. Further, we maintain a large stock at our warehouse facility to meet urgent and the bulk demands of the buyers. Buyers can purchase them in bulk at feasible rates, from us. Copyright 2019 © Sarovar Polymers Pvt Ltd All Rights reserved.